Microsoft just released a new patch for Windows 10 with minor improvements. If you’re on Windows 10 April 2018 Update, KB4464218 is now available for you. The direct download links for Windows 10 KB4464218 are also available so you can use them to upgrade all your PCs at the same time. If you install Windows 10 KB4464218, your system would advance to Build 17134.286 and you may not notice any new changes. Windows 10 Build 17134.286 fixes only one bug and Microsoft is not aware of any known issues in this release. The latest patch for Windows 10 April 2010 Update is expected to be flawless as the build comes with no bugs. 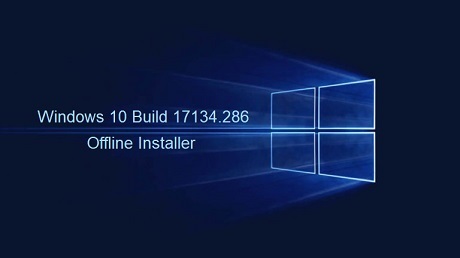 If your PC is on Windows 10 version 1803, Build 17134.286 should show up in Windows Update and the download process will run correctly without any issues. If you’re planning to install the update manually, keep in mind that you’re supposed to install the patch for correct version of Windows 10. If you don’t know your system configuration (32-bit or 64-bit), open Settings -> System and click on About to see system type. You can simply double-click the .msu file that you downloaded from Microsoft’s catalog website and install the patch for Windows 10. Windows 10 KB4464218 Direct Download Links: 32-bit (x86) and 64-bit. Today’s patch for Windows 10 has addressed an issue with the OS that affected Microsoft Intune. According to Microsoft, an issue where Windows 10 could not recognize the Personal Information Exchange (PFX) has been fixed. ■ Addresses a Microsoft Intune issue that occurs after installing any of the updates released between July 24, 2018, and September 11, 2018. Windows no longer recognize the Personal Information Exchange (PFX) certificate that’s used for authenticating to a Wi-Fi or VPN connection. As a result, Microsoft Intune takes a long time to deliver user profiles because it doesn’t recognize that the required certificate is on the device. As always, this update has also addressed performance and stability issues in Windows 10. Microsoft is also working on a major feature update for Windows 10 that would arrive next month. If the reports are believed to be true, Windows 10 October 2018 Update (version 1809) will begin rolling out to the users by mid-October. The rollout of the next feature update is also expected to improve the market share of Windows 10. The next Windows 10 release will apparently bring the OS closer to rival Windows 7 in terms of market share and it may finally overtake its 2009 predecessor by end of 2018.